Platinum Care Pharmacy is your source for high quality products and services at great prices. Locally owned and nationally accredited. 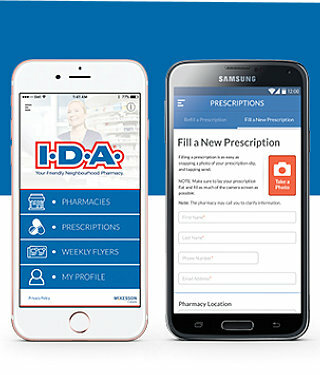 Use the IDA app to send us your prescription and we will deliver to your home locally! Ask us about our accredited compounding and in home medication management services! No Time? No Problem. Manage your prescriptions wherever you are. Download our new app today. Looking for a pharmacy that you can trust? Well, look no further because Platinum Care Pharmacy is here for you! We are a full-service pharmacy offering a wide range of first-rate and reasonably priced pharmaceutical products and services. Platinum Care Pharmacy is a trusted hometown pharmacy, offering world-class services. We firmly believe that everyone should have access to high-quality pharmaceutical products and services. In line with this, we make sure to constantly do our best in everything that we do. We also serve and assist every customer to the best of our abilities. At Platinum Care Pharmacy, we offer services such as compounding, clinical community pharmacy services, and so much more! We even offer home deliveries for our customers who are unable to come to our location. At Platinum Care Pharmacy, it is our aim to provide 100% customer satisfaction. Our customers are always at the top of our priority and we make sure that when they come to us, they always get what they need. Platinum Care Pharmacy is fully committed to providing excellent pharmaceutical services that ensures 100% customer satisfaction. Platinum Care Pharmacy offers reasonably priced products, making pharmaceutical products and services accessible for all. Platinum Care Pharmacy can answer service or product inquiries! Simply call 604-385-0188 for more information.